First off, let me thank Aaron over at Gnome Press Blog for opening my eyes to a book that I didn’t even know existed and then telling me where to buy a beautiful copy. Most people would never release this information so they could gloat about their discovery. So with that said THANKS AARON!!! 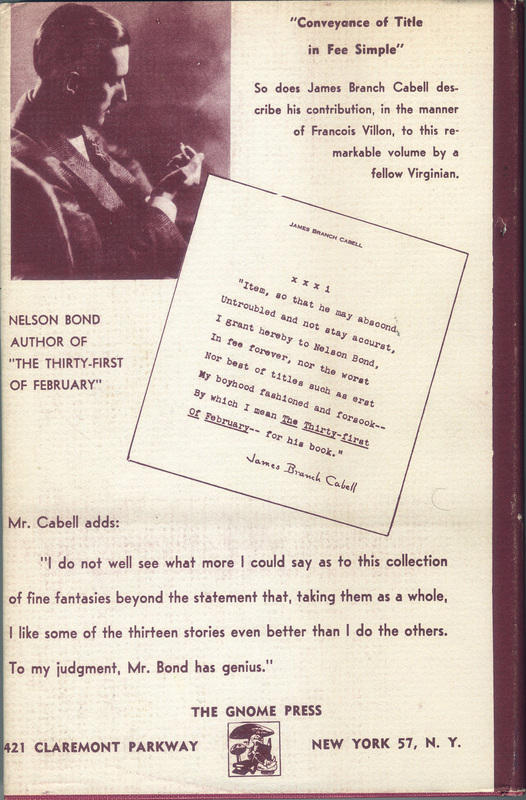 So, the book is called The Thirty-First of February by Nelson Bond and this copy is a beautiful one. I got this copy from Jack Sticha over at SnS Books don’t know how many more he has, but they all seem to be in great shape. Comments: A beautiful Book in great shape, almost appears unread. Nice white pages! 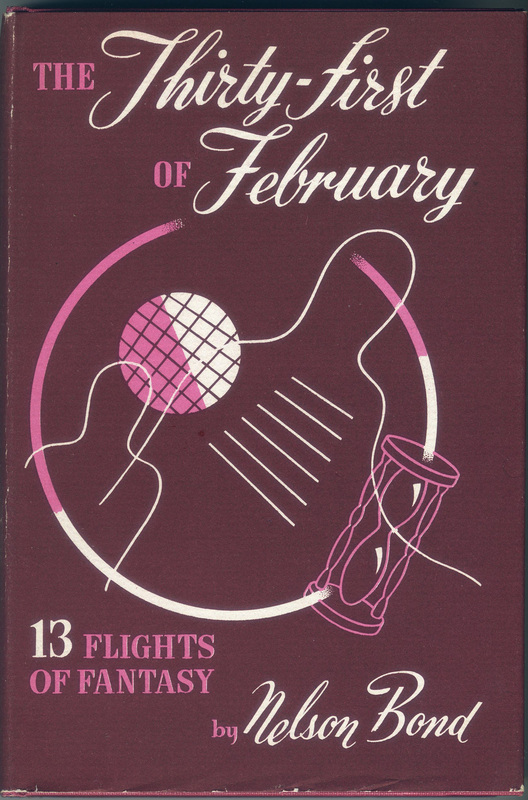 This entry was posted on January 21, 2012 at 2:34 am and is filed under Gnome Books with tags Gnome Press, Nelson Bond, The Thirty-First of February. You can follow any responses to this entry through the RSS 2.0 feed. You can leave a response, or trackback from your own site. Hey, that sounds really fascinating! Thanks for sharing. I’ve never heard of this collection of stories. Share more when you get the chance! I should have commented here a bit earlier Chris, but you’re welcome!! Keep up the great work! !